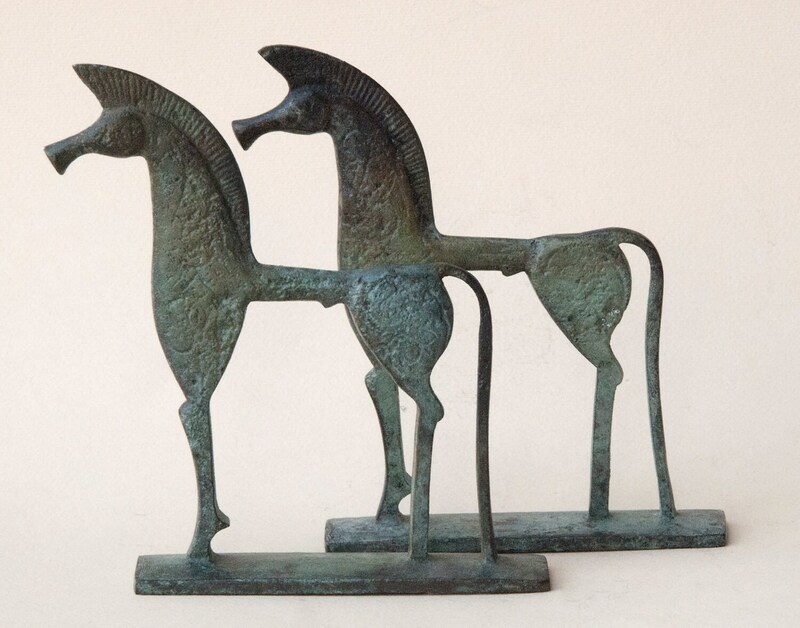 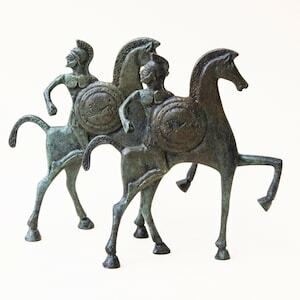 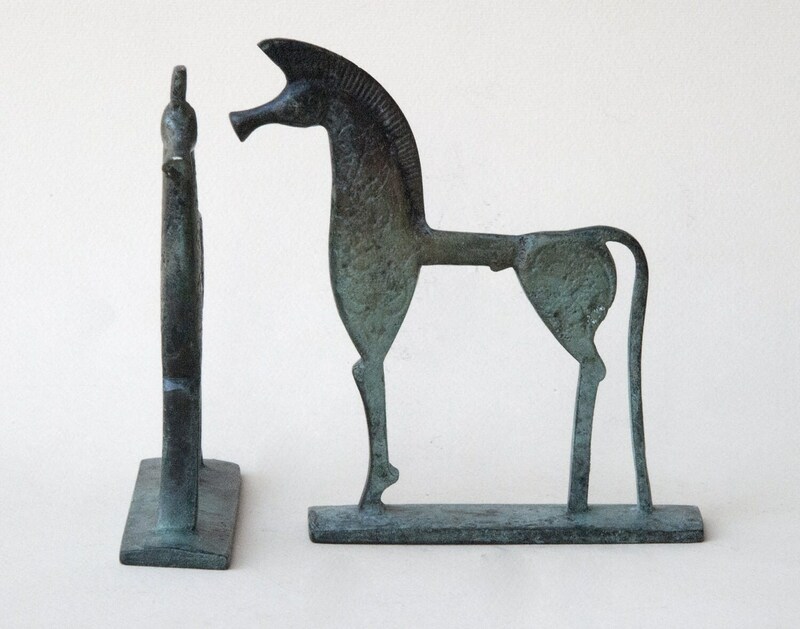 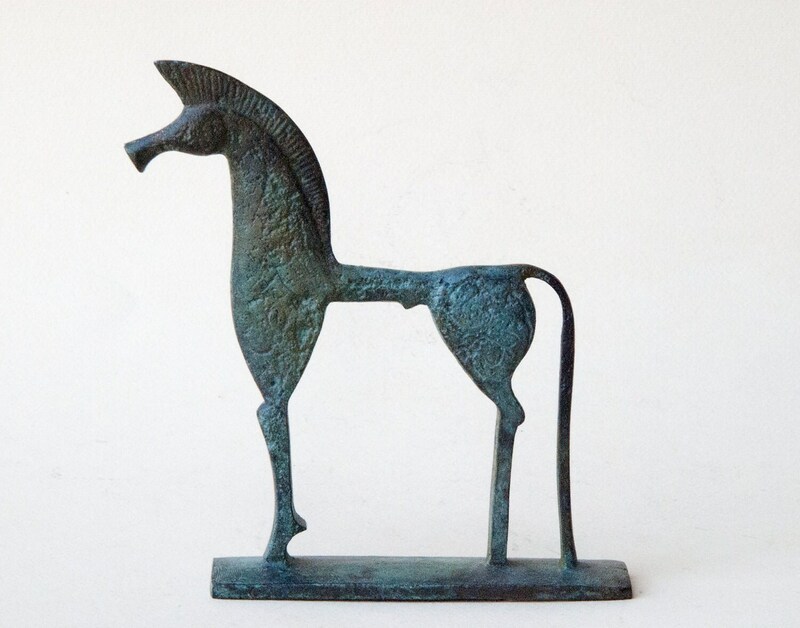 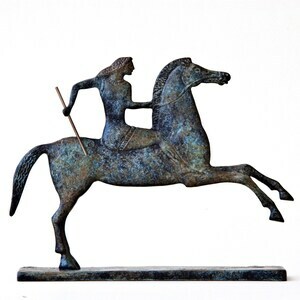 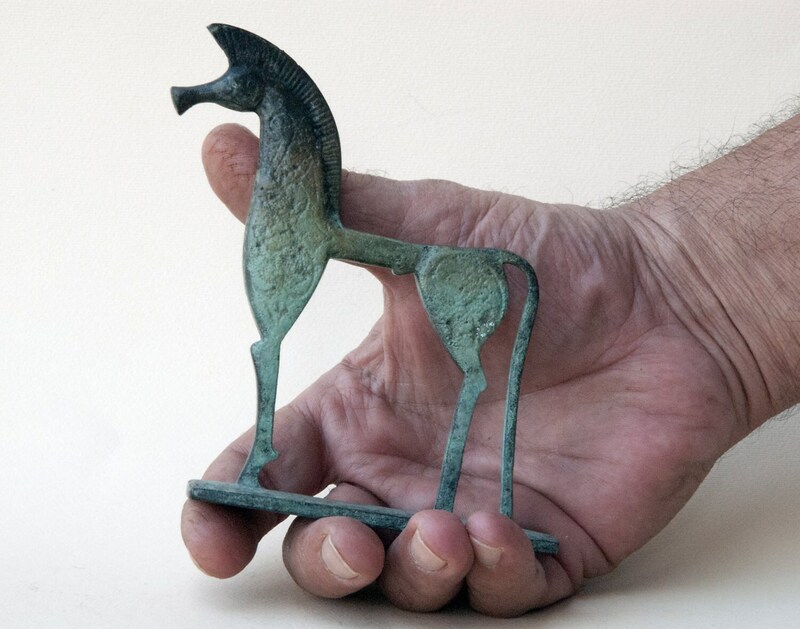 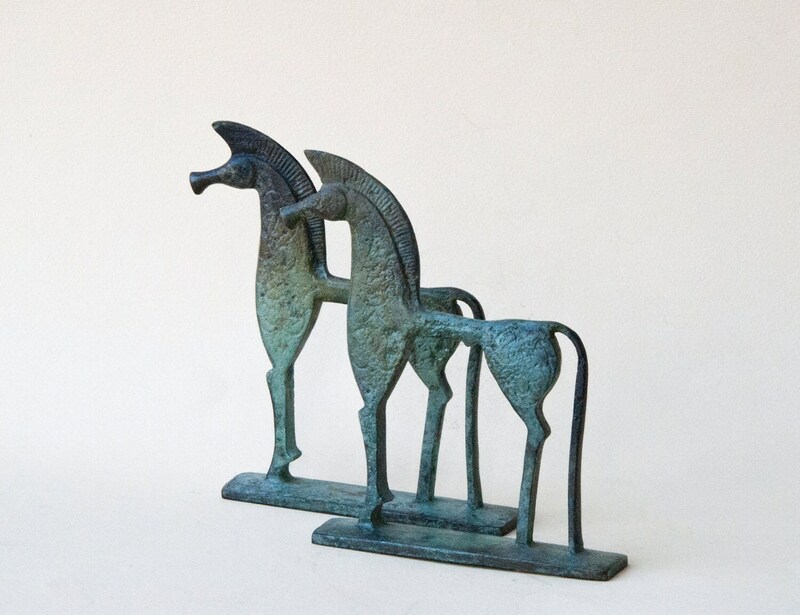 Horse Sculpture, Bronze Ancient Greek Geometric Horse, Solid Bronze Metal Art Sculpture, Greek Art, Art Equine Decor, Equine Lover Gift. 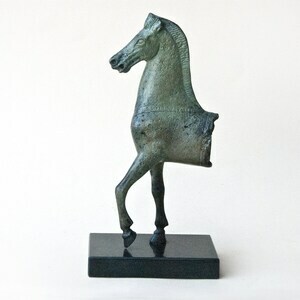 Height: 4.5 inches / 11 cm approx. 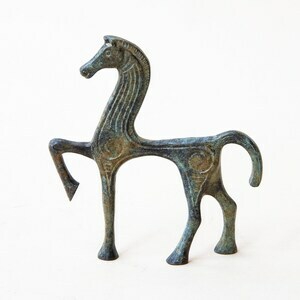 Width: 4.5 inches / 11 cm approx.